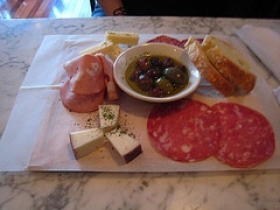 Have you made Antipasto De Verona? 1. Line individual salad bowls with radicchio leaves. 2. Add equal portions of prosciutto and celery roots. 3. Top with wedges of Parmesan. Season to taste with salt, freshly ground black pepper and olive oil. 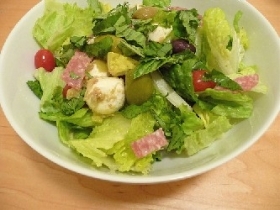 This recipe contains potential food allergens and will effect people with MSG, Cheese, Celery, Beef, Olive Oil allergies.